While you are Playing Pokemon-Go, many others are busy in collecting data about you. The Company named "Niantic" has recently launched its new game "Pokemon-Go", which urges players to go out in public, visit landmarks, and collect cartoon monsters. The game is already close to exceeding Twitter in the number of daily active users on Android—and it was only released in July 2016. 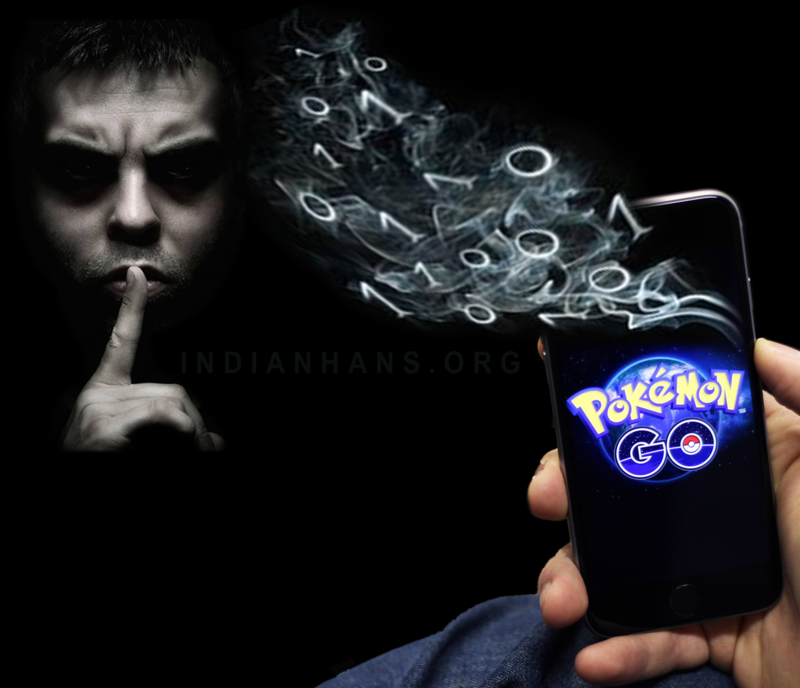 As per "HANS - Anti-Hacking Anticipation Society" Pokemon-Go’s database of personal data has become a target for hackers, criminals, and organizations. On Mobile Phone, Pokemon-Go accesses user’s camera, contacts, GPS location, and SD card contents. Pokemon-Go also demands an active WiFi or GPS signal at all times in order to play. In other words, Pokemon-Go has to know who you are and where are you. Pokemon-Go encourages users to collect items at real-world locations recognized as PokeStops, allowing criminals to anticipate places where players are likely to gather. Few people have already reportedly been robbed at gunpoint after visiting specific in-game locations. -Login into your Google account permission page and spot "Pokemon-Go". -Select "Pokemon GO" and click "REMOVE" button to revoke the account access. This will lead to loss of Game data. In order to avoid this, use a dummy Google account with no personal information.